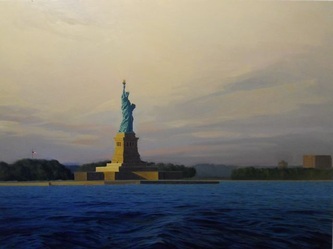 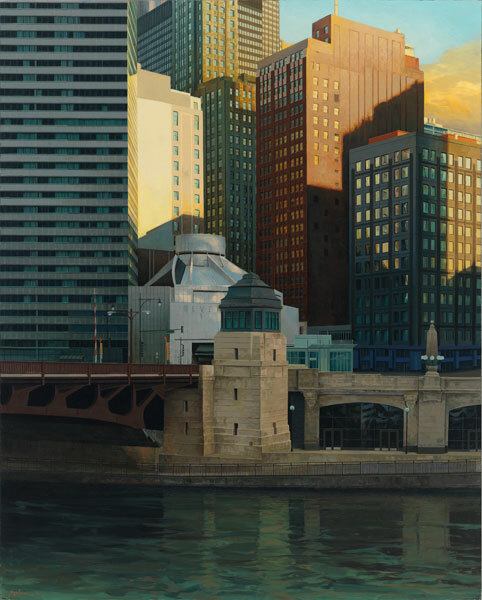 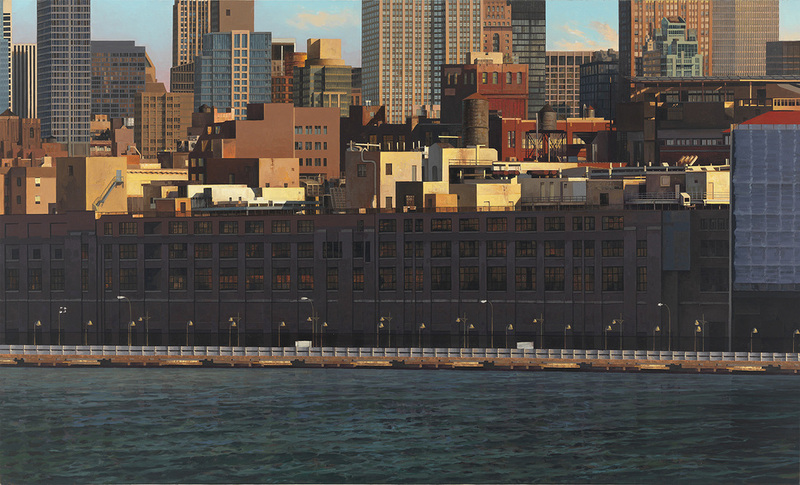 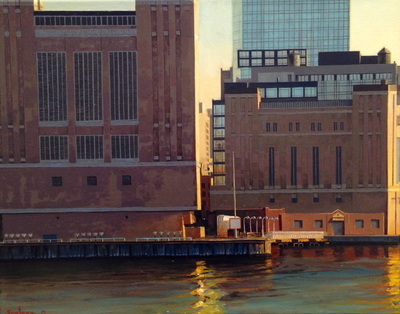 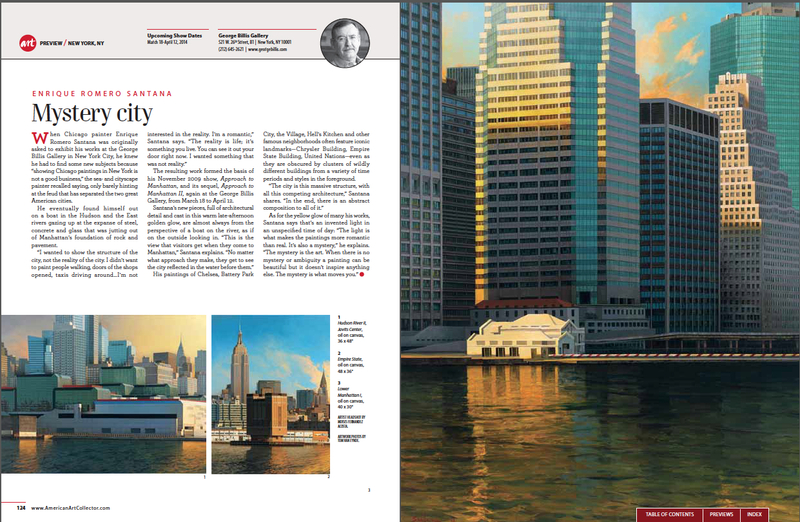 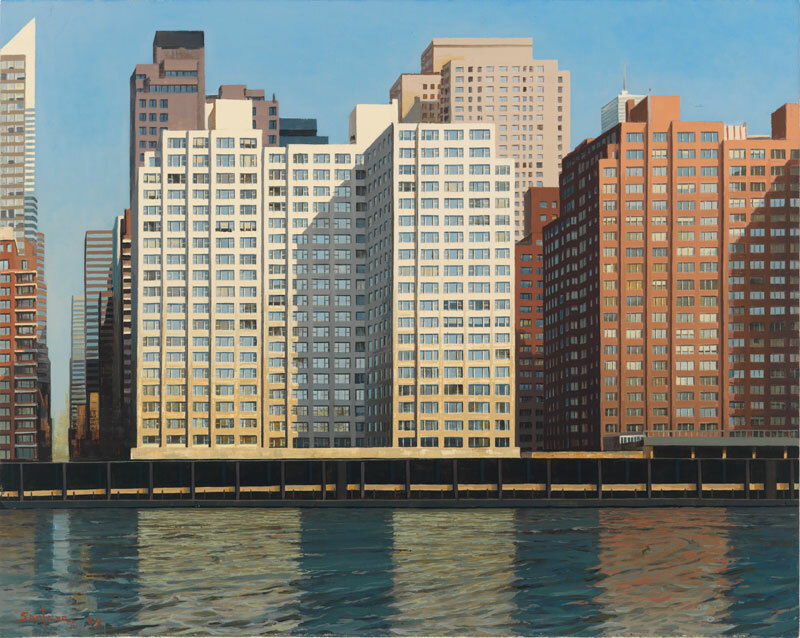 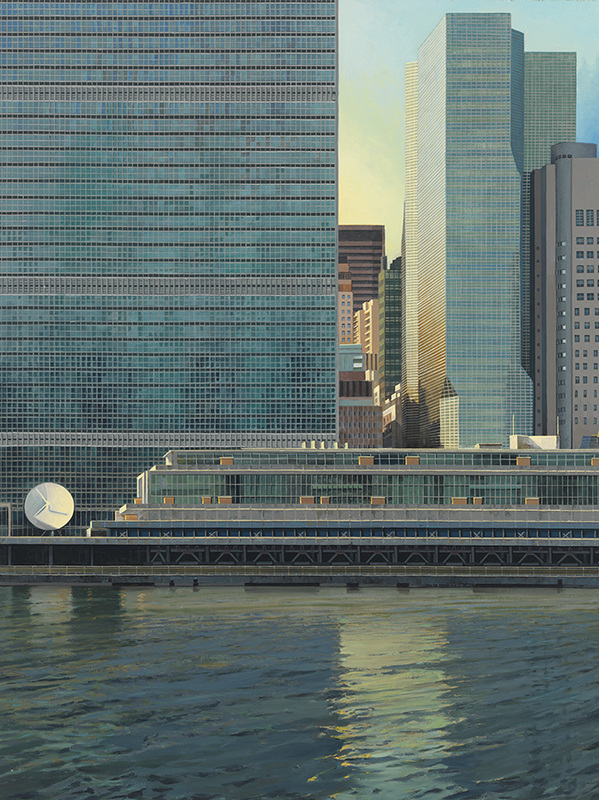 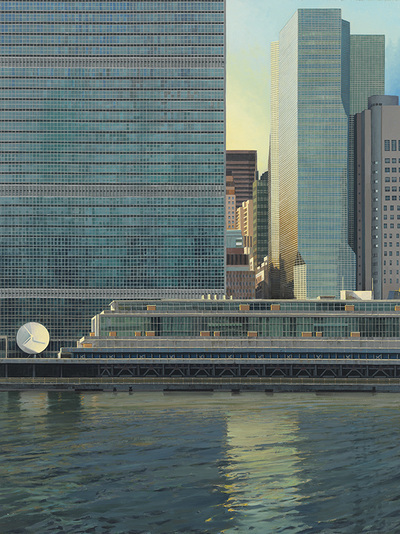 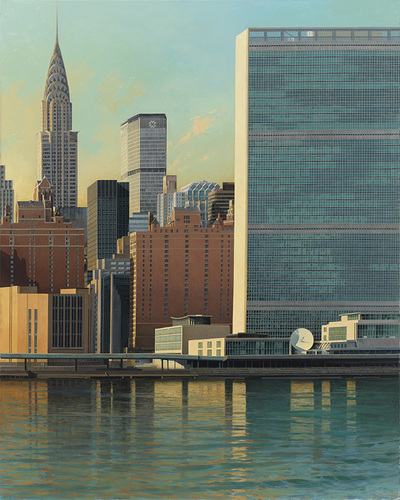 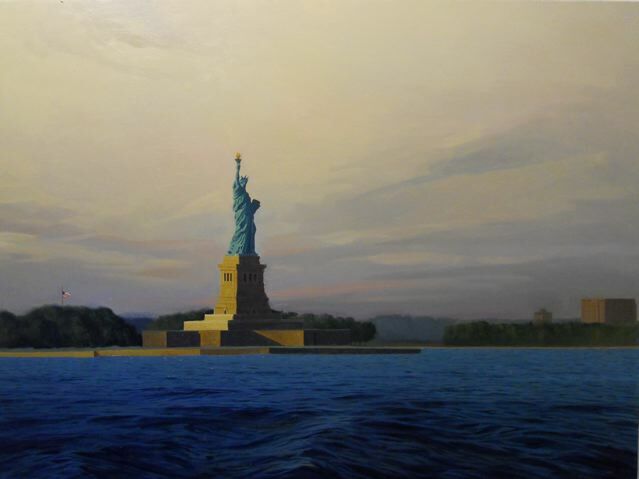 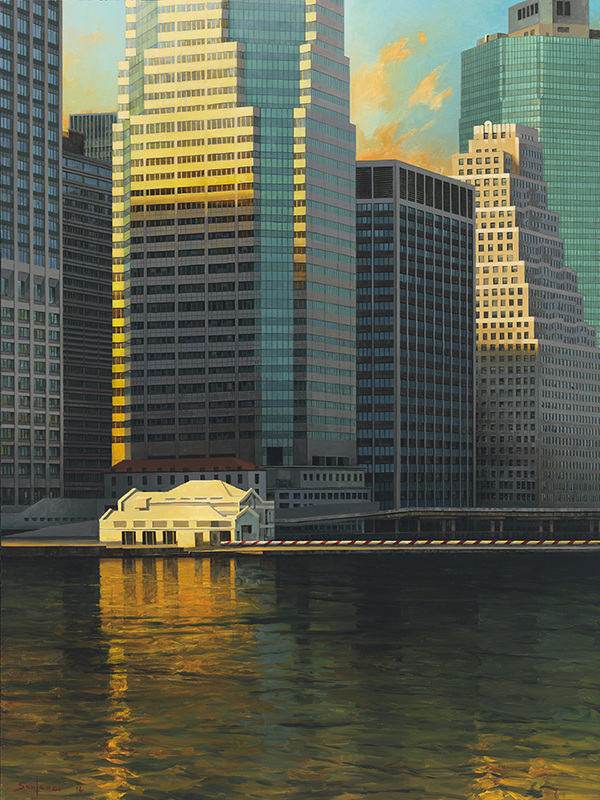 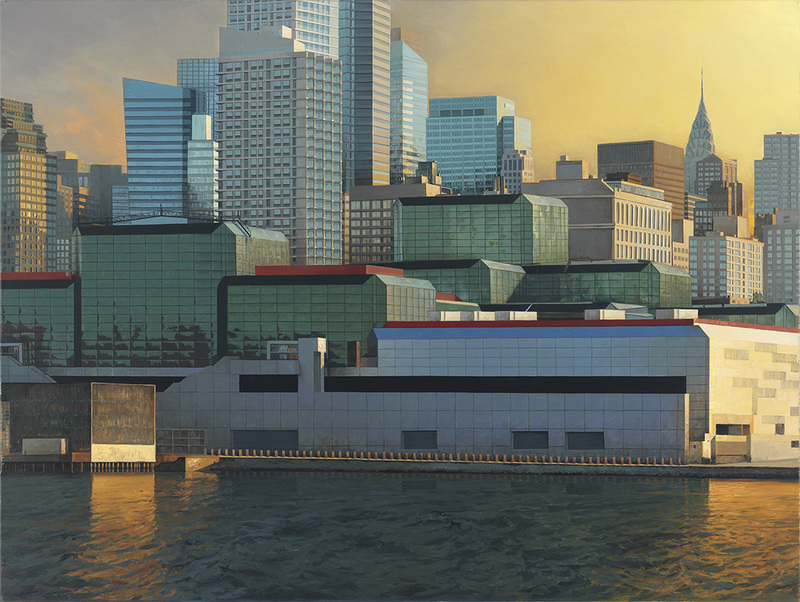 Known for his remarkable urban landscapes, Enrique Santana has shifted subjects from his earlier work in Chicago to the famous Manhattan skyline with his latest exhibition, Approach to Manhattan. 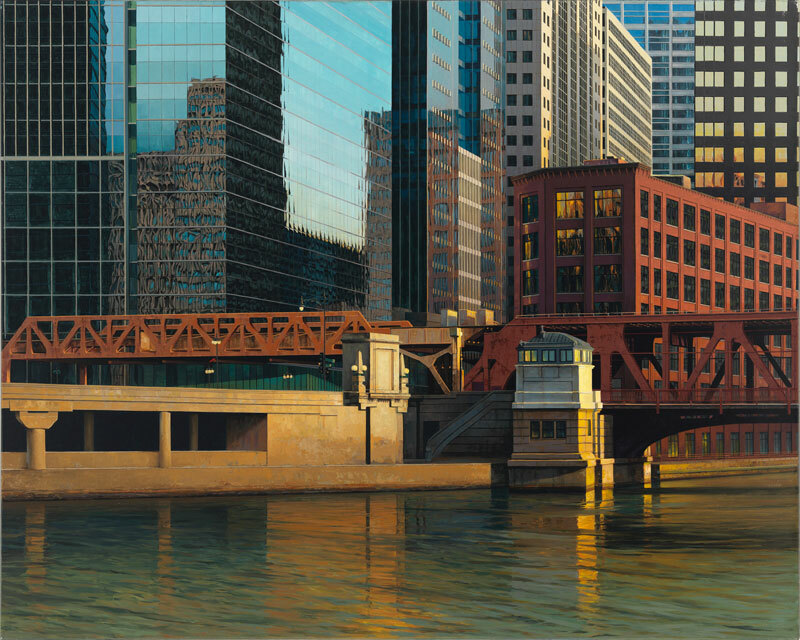 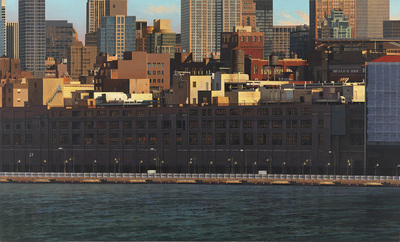 As with his paintings of Chicago from the 1990s, Approach to Manhattan displays the dynamic interplay of city and water. According to the artist, this “focus provides not only an esthetic counterpoint, but also the dynamic relationship between the fluidity and energy of water against the silent power of shoreline buildings.” What results are luminous and surrealistic images of a living city, frozen in time.